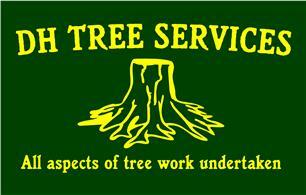 DH Tree Services Limited - Garden Services, Tree Surgeon based in Merstham, Surrey. Invoice history based on 534 reviews. Hi and welcome to DH Tree Services. DH Tree Services are a family run business that offer a friendly, reliable and highly competitive service and are N.P.T.C qualified. All of our operatives are highly skilled and over the years we have been operating we have built up a loyal clientele base, by consistently pleasing customers. The majority of our work is private domestic work, however we do have regular dealings with various schools and estate agents. We pride ourselves on our professionalism and our extensive understanding of arboriculture. Call us today for a free quotation and friendly advice.